Here is a listing of the many products that we carry. 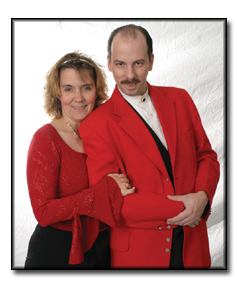 Please take a moment to check out all of our products. To purchase these products, please click on it. We regularly add new products, so be sure to check back with us often. If you have a recommendation or would like to submit a product to us for review, please contact us HERE. Thank You! 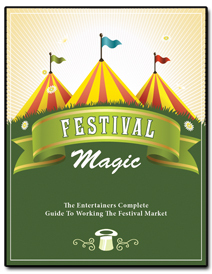 BRAND NEW: This 110+ page book / E-Book is a wealth of information on how to work the festival and fair markets. It teaches how to market to festivals, how to develop a customized festival show and how to work festivals and fairs all year. Click here to order and find out more. 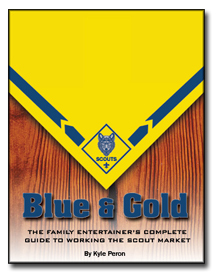 This 60 page book / E-Book is a wealth of information on how to work the scout market. It teaches how to market to scout groups, how to develop a customized show and how to work scout shows all year. Click here to order and find out more. 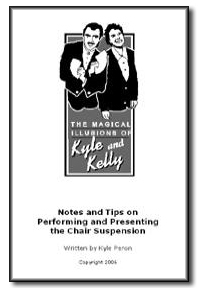 information, tips on presentation, safety, routine ideas as well as step by step coverage of the best way to perform this illusion. Click here to order and find out more. 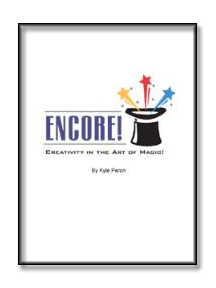 This 21 page lectue note E-Book is about learning how to be creative, think creatively and how to apply direct exercises and techniques to allow your own creativity to grow with the magic that you perform. Click here to order and learn more.